How about a blouse that you can wear to a cocktail event, date night, a day of shopping or even as a bikini cover-up at the beach? 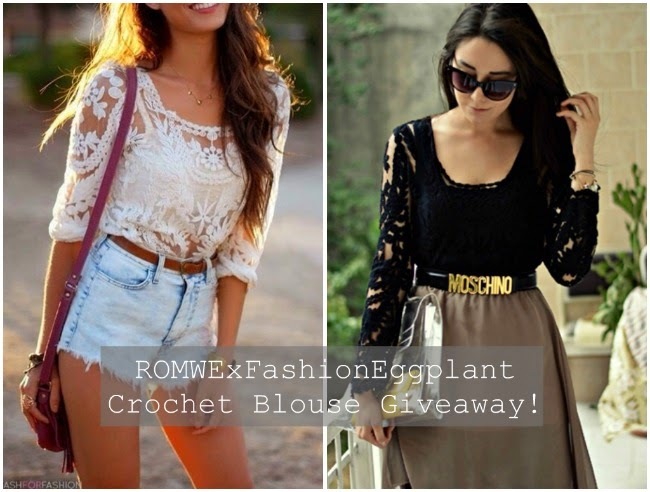 That is exactly what this lace/crochet blouse from ROMWE is. In all my years style blogging, I have never encountered a top that is as versatile as this one. Not only can it take you everywhere, it also easily adapts to anyone's personal style...wether you prefer to be dainty, edgy, elegant, or vintage inspired, there's a way to style this that would be perfect for your look. Tuck into highwaist denim shorts or a skater skirt for a chic everyday look. Go a bit more daring with just a black bra inside or wear with a maxi skirt for an ultra sophisticated look! The possibilities are endless and now here's your chance to get it for less than half of its original price. 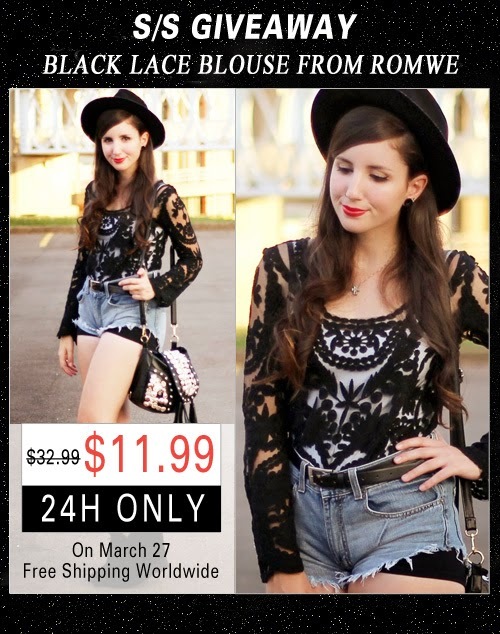 On March 27,2014 this beautiful black lace blouse in 3D embroidery will be on sale for only $11.99 instead of its original price of $32.99! Use the coupon code: 10offblacklace for an additional 10% off when you check out and of course, enjoy FREE SHIPPING WORLDWIDE! Giveaway will run for 5 days only so hurry and join! Good Luck! Pick me...pick me ... I love these!!! I am bunniker on twitter and instagram.